Everything you need in one small carrying case. Simpl instructions. The laser beam is reflected off the mirror on to a surface or target behind the laser head. By increasing the distance of your target from the wheel, increases the accuracy. From here you simply move your suspension up and down to see the total horizontal movement of the laser beam. If the laser beam moves horizontally this indicates a change in toe. 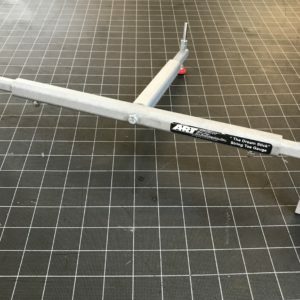 You then adjust your tie rod or steering rack position to produce the smallest movement of the laser beam, thus reducing bumpsteer. 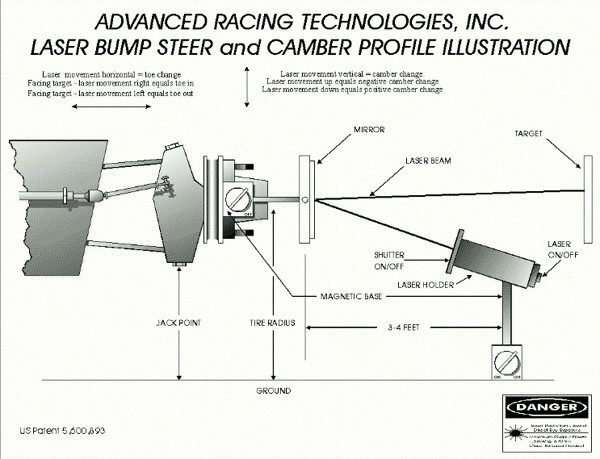 Simultaneously if you see the laser beam move vertically this represents a change in camber. How we differ from conventional bumpsteer gauges. 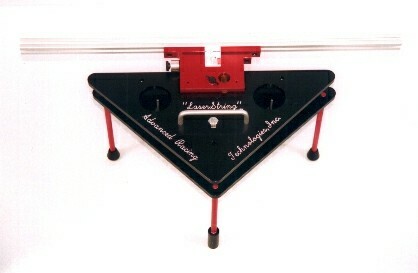 The device accuracy is variable by increasing the target distance. It is a compact unit, 1/2 the size of a attach� case. Eliminates large bulky frame used with old school dial indicator style. Eliminates those large specialized plates to be mounted to the hubs. No more confusing dial indicators.We just measure how far the laser beam spot moves. 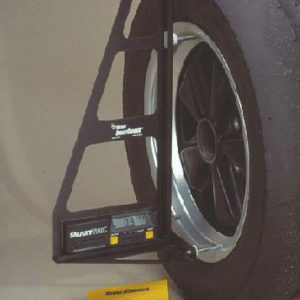 Only gauge in the world that shows camber change due o bump. The laser can be used for many other uses. The precision of the unit never changes and is never affected by weather or temperature. 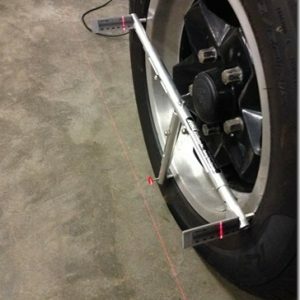 By utilizing graph paper for a target, engineers can plot bump steer and camber change simultaneously.